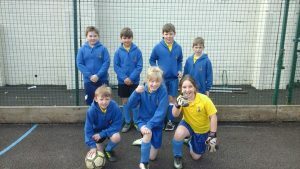 Our year 3 / 4’s re established their footballing credentials on Wednesday night with 2 friendly matches against Dulverton and Witheridge. We are half way through our league competition and we have yet to pick up any points. With the second half of the season looming it was vital that we got back in to the swing of competitive football. With a couple of players back from injuries we were trying out a different set up with our near full strength squad. Our opening encounter with Witheridge started brightly as we had them under pressure for most of the first half. Witheridge had their chances but we had them trapped in their own half for much of the game. Unfortunately, we were unable to make that pressure count and conceded 2 goals (one from the penalty spot ) without a reply. Before our second game of the evening we looked at how we could improve on that performance and convert that pressure into goal scoring opportunities. 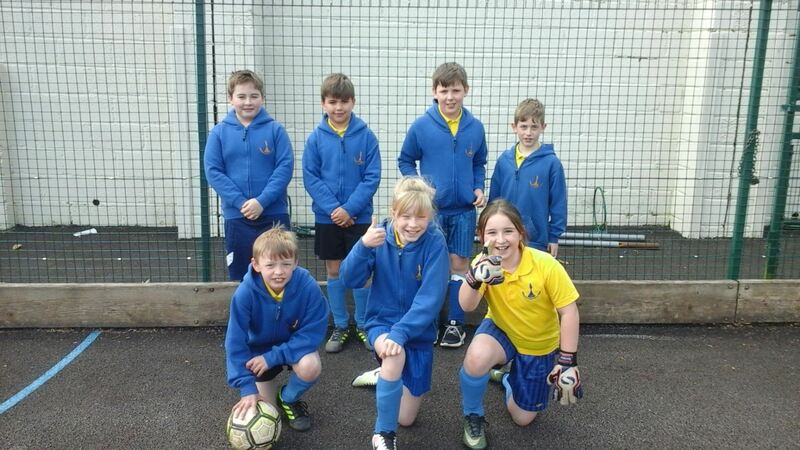 A closely fought game against Dulverton was the result. We took a 2 – 0 lead into the second half but knew that Dulverton would be coming at us. Dulverton did pull a goal back but we were too strong to let go of our lead. A promising mid season trial which will hopefully kick start our season in earnest as we go hunting for our first points of the league.